Take a rental car and explore the varied South Korea. With a rental car you are always flexible and can discover South Korea individually. Temples, national parks, beaches, cities - South Korea has something for everyone. Book the right rental car in advance online on Driveboo.com. You can then pick it up directly after your arrival in South Korea at one of the car rental companies. In this way you will start your holiday completely stress-free. Seoul is the capital of South Korea and one of the most popular destinations among Japanese, Chinese and Thais. Visit the N Seoul Tower, from where you have a fantastic view over the city. Seoul has something for everyone: museums, palaces, restaurants, bars and much more. The Bukhansan National Park is a real natural paradise in the north of Seoul. 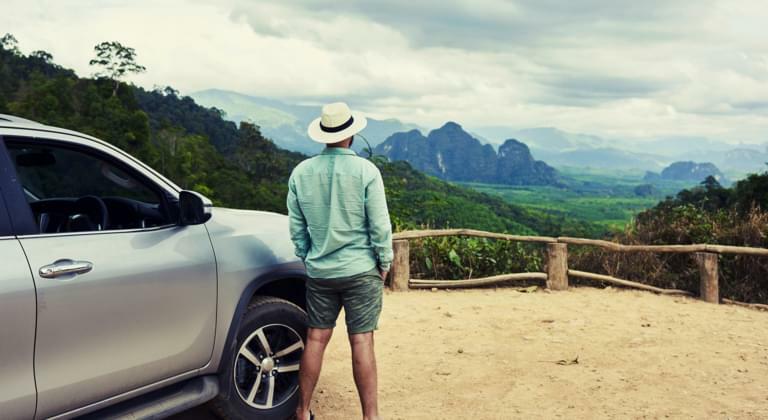 Park your rental car and go on an adventurous hike. More than 1300 animal and plant species live in the Bukhansan National Park - the ideal destination for all nature lovers! In Gyeongju - once the capital of the Silla Empire - you can discover a variety of historical treasures. Marvel at palaces, temples and magnificent pagodas. Some even call Gyeongju a "museum without walls"!